We reckon this small, bustling historic town in Northland will surprise you, whether it’s your first visit or not. This busy little kiwi town, nestled only 20 mins drive from Paihia, houses intriguing history, world-class boutique wineries (read our guide to wineries here), a thriving food and wine culture, and golf courses with unbeatable views. And you might just find the best flat white in the Bay here. And Kerikeri is rich with stories of the past. So if you’re into knowing more about New Zealand history and Maori culture – this is the town to explore. Jump in, step off the beaten track, and chat to friendly locals. The tales of days gone by, the people and landscape give this place the huge heart it’s famous for. If you’re interested in not just local history, but New Zealand history, this area is a must see. Pre-dating the Treaty of Waitangi (signed in 1840) Mission Station was established in 1819 by Samuel Marsden after Hongi Hika invited the European missionary to set up there. Built to harness trade with Europe, the station grew against a backdrop of warfare and increasing visits from foreign ships. It’s one of the first places in New Zealand that Maori invited Pakeha (Europeans) to live with them. We’d suggest taking a guided tour here – there are plenty of tales to be told. 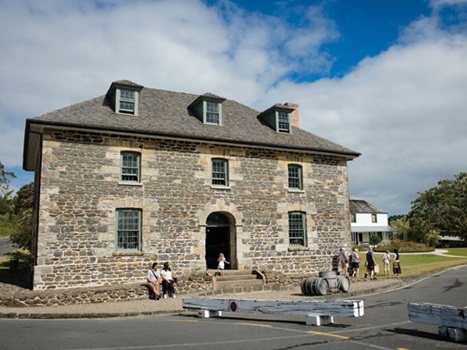 The area also houses some of New Zealand’s oldest historical buildings (pictured right) from the colonial days; Kemp House which is also called Mission House (1822), and the Stone Store (1836). After your visit, and a stroll through the gardens, stop in for refreshments nearby at The Pear Tree Pub. Grab a spot on the veranda in the sun if you can. Near the Stone Store is Kororipo Pa, a terraced fortress that was once the actual home of Hongi Hika. 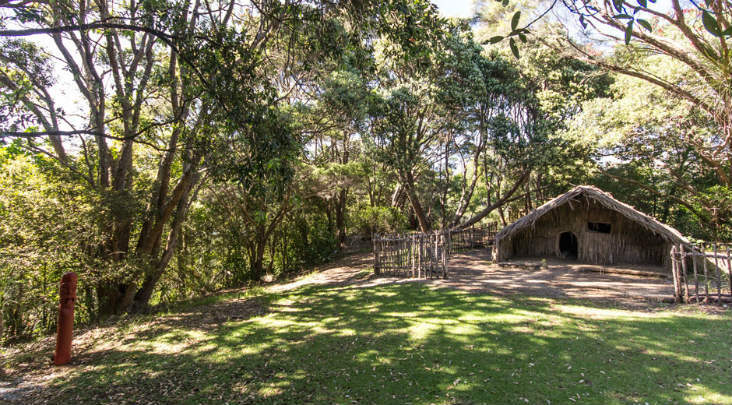 These days, the site also has Rewa’s Village, a full-scale replica of a pre-European Maori fishing village.This is the best way to bring to life how Maori would have lived. Glimpse into the past, wander through the native bush and imagine a time before European settlement. You can explore the site and there are plenty of fascinating stories about Hika to be shared. A chocoholics delight, Makana is the ultimate chocolate experience. Set up like a cellar door, they offer samples and you get to see how the hand-made chocolates are crafted. 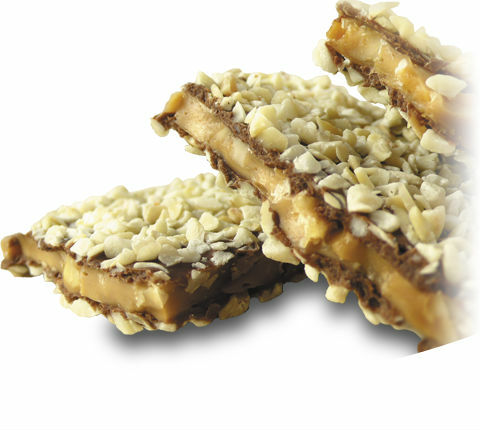 Our favourite is the Macadamia Butter Toffee Crunch (pictured). A serious slab of yum! This spectacular 27-metre waterfall is utterly breathtaking. With easy access for all fitness levels (and wheelchair access), Rainbow Falls is a must-see in Kerikeri. Only a ten-minute drive out of town, you can take a wheelchair accessible ten-minute walk from the car park to get a close-up view, or you can see the falls only 1 minute from the car park. For the more adventurous, try hiking here from Kerikeri along the stunning Kerikeri River Track (1.5 hr one way – see also our blog on hikes and walks). You can also explore the area near the base of the falls by kayak (see our listings for hire and tour options). This tiny island is home to North Island brown kiwi and other native birds. You can rent kayaks here, visit the visitor’s centre, and you can take a night-time kiwi-spotting adventure here (but bookings are essential). It’s reached via a permanent causeway through the mangroves. Winery options include small family run vineyards, luxury boutique accommodation, and sustainable growers. Best of all, every wine from the Bay is made in small batches of limited editions. So you’ll be sampling something unique every time. Our guide to wineries is a great start. Tastings are often free with either lunch or a wine purchase. Tasting times change, so make sure you check with the winery before you head out. You’d be hard-pressed to find a better place to play a game of golf than the Bay of Islands. The Bay of Islands Golf Club is situated just a kilometre from Kerikeri town centre. It’s a great place to get a hole in one and is one of the best all-weather championship courses in New Zealand. Out towards Matauri Bay is the Kauri Cliffs Golf Course (pictured). With spectacular sea views and world-class amenities, it has been included in the world’s top 10 courses by several golfing magazines. You can also stay here. While Kerikeri township offers stunning sea and river views, unlike Paihia, there are no beaches in the town centre. But don’t fret – there are some great beach options very close. Our top picks below are a little off the beaten track. Or for a full list of the best beaches in the wider area, click here. Remember to take a picnic, clean up after yourself and don’t leave valuables in the car. To the north of the Kerikeri inlet is Opito bay. It’s classic kiwiana – a small seaside community of batches (small holiday houses) popular with fisherpeople. There are parking options and bathrooms, but no shops. On the other southern side of the Kerikeri inlet, Wharau Road beach is a good option if Opito Bay is windy. It’s rustic though! Gravel road access, not much parking, no shops and no toilets! But it’s a great little spot to read a book under one of the trees. Chances are you might just have the place to yourself. Eighteen kilometres out of town is a gorgeous local secret, Taronui Beach. This is a simply stunning Northland bay. It boasts golden sand, warm waters and the bay is ringed with trees. It’s only accessible by walking track. Park in the carpark on Hewitt Road and find the track. Just note, there are no facilities here either. Are you a thrill seeker? Take the plunge and go skydiving over the Bay. Experience the magic of a scenic flight and see the area’s 144 islands from way way way above. With coast to coast views, and one of New Zealand’s sunniest regions, there’s no better place to take to the wide blue sky than in the Bay. Find the top tour operators here. Kerikeri is a great place to stretch your legs. Take in some history while you get you the blood pumping and work up an appetite for one of the area’s fantastic dining options. We’ve listed three of our favourite walks below, but if you want an even more comprehensive guide of other Bay of Island walks, we have one right here. 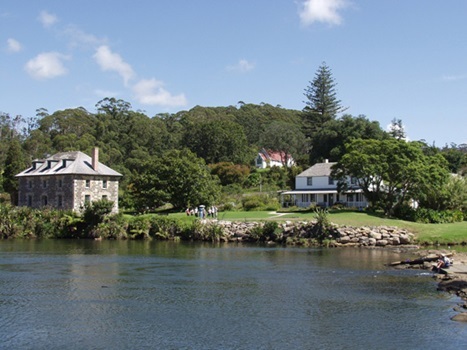 Find more walking options in Kerikeri area, on the Department of Conservation website. An unbeatable place to see awe-inspiring Kauri forests. Easy access and suitable for buggies and wheelchairs this walk is a fantastic addition to any trip. It’s easy to squeeze in if time’s tight too (15 minutes return). Follow in the footsteps of history on the Hongi Hika track. Pre-European Maori warriors used this very pathway to access Kerikeri River from their homes further inland. It’s a great way to get kids engaged with the history of the area (1 hr one-way). Wander along the Kerikeri river past the Stone Store and reward yourself with the breathtaking sight of Rainbow Falls (1.5 hr one-way). Browse the high street shops here and find original artworks and artisan produce. Don’t forget to indulge in some luxury chocolates or locally-made limoncello. Check out award-winning New Zealand made natural skincare range at Living Nature. They have products for everyone, including a fantastic range for babies. With an abundance of fresh produce and stall holders coming from all other Northland, the Farmers Markets are not to be missed. Markets are held in both Paihia and Kerikeri and both markets are all weather, so come and enjoy rain or shine. Just remember to come hungry! Every Saturday from 8 – 1:30 you can enjoy fresh local produce and artisan foods at the The Old Packhouse Market, 505 Kerikeri Road. There’s also another market on Sunday mornings from 8.30am to 12pm in the Post Office car park on Hobson Ave.
On Thursdays, markets are held 1 – 4:30pm in the Village Green. Kerikeri is one of the dining hot spots in the Bay. Eat Dunch pancakes for brunch at the colourful Ziezo. Or sip a craft beer on the veranda at The Pear Tree Pub after visiting the historic Stone Store and Kemp House. With stunning views across the river, just make sure you book ahead. Find out more about food and wineries in the Bay. Boasting mild winters and long balmy summers, Northland is called the ‘winterless North’.It’s the sunny climate that nurtures Kerikeri’s abundance of crops. February is usually the most settled, warmest month to visit the Bay. There are plenty of attractions here in the shoulder seasons too. Visit the wineries when the vines are in full autumnal splendour. Or walk some of the tracks listed above, when the weather’s a bit cooler. Don’t miss Kerikeri Daffodil World in Spring. Winter means hot chocolates, and what better place to indulge than the Makana Chocolate café? Explore some history at the Mission Estate area above. Go shopping along Kerikeri’s high street. There’s plenty of cover and loads of shops to get lost in. You guessed it – visit the Makana Chocolate Factory. For local forecasts visit the MET service website. It’s around a three-hour drive from Auckland to Kerikeri (80 kilometres past Whangarei). Then continue on to Pakaraka, where State Highway 1 becomes State Highway 10. Follow this all the way to Kerikeri. It’s all signposted very well. The other option is to take in some sights along the way and meander up through Paihia. This will add on another 25 minutes to your journey in total from Auckland, but is well worth it! This route offers stunning views and plenty of sightseeing opportunities along the way. It passes Naruru Falls and the historic Waitangi Treaty Grounds. If you prefer simply to sit back and enjoy the scenery, book a coach and be here in about 4.5 hours. It couldn’t be easier to get into your holiday in Kerikeri. There’s an airport 8 km from the centre of town and Air New Zealand offers direct daily flights from Auckland. Flights only take 50 minutes, so hop on a plane and get straight into your trip. Find a flight with Air New Zealand. Kerikeri Airport is located 8 km southwest of town at 218 Wiroa Rd. There’s a shuttle service into the centre of Kerikeri. Or, if you’d like to go further afield, you can book a shuttle direct from the airport to Pahia, Opua and Kawakawa. The main centre is small and easily walkable. You will need wheels to visit the wineries though, or to go further afield. Or take the legwork out of your holiday and book a tour of the region. 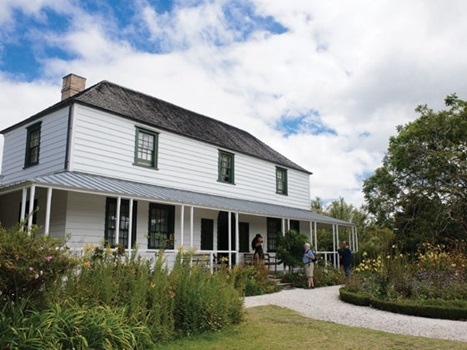 You’ll find plenty to keep you entertained in Kerikeri, and when you’re done, head off to one of Kerikeri’s charming neighbouring towns, Russell, Opua or Pahia. Each one of these places has a rich history of its own just waiting to be explored!